Honda has made wholesale changes to the 2018 Accord. The Accord has been the flagship of Honda for many years and the re-design has made it one of Consumer Reports’ top-rated sedans. The Accord strikes a happy compromise between sporty driving and family-friendly ride comfort. A hushed cabin hasn't historically been a Honda trademark, but the new car is nicely muted. Once behind the wheel you will feel an Accord that has a wider, lower, and more hunkered down stance. Comfortable seats that feature four-way lumbar supports and plenty of legroom. Honda offers six versions of the Accord, from the LX to the Touring and even three Hybrid models. Honda offers, you can build the Accord that fits your driving needs and lifestyle requirements. Honda has never been a manufacturer to rest on it’s laurels, and the completely re-designed 2018 Accord is proof of that. They took an already successful car and made it even better. We invite you to test drive the all-new Accord at Capitol City Honda in the Olympia Auto Mall and see what the continuous innovation Honda has done for the Accord in 2018. Sporty handling, relatively low noise, and a well-done interior make the Focus feel more like a small sports sedan than a humdrum compact. With a four-cylinder, a three-cylinder, the sporty St, and an all-electric version, the 2018 Focus has something to offer to everyone. The electric version Focus has all the underlying qualities of the regular versions: taut handling, good ride, and nicely finished interior. And it also provides the benefits of its electric powertrain -- silent running, cheap operation, and effortless-feeling acceleration. It is one of the most useful and efficient electric cars on the road. 80 miles per charge (5 miles more than the Nissan Leaf) and takes half the time to charge…about 4 hours on a dedicated 240v charger. The Focus ST is the model to get if you love the sports car feel. Tons of power and sharp cornering abilities, and amazing braking power, make the ST a car that appeals to the serious drivers. Equipped with a manual transmission, Recaro seats, 350 hp, and available all-wheel drive, this is not a car to give to your newly licensed teen ager. More in the mainstream are the S sedan, Titanium sedan, and the SEL hatchback. These models all feature a 2.0L Ti-VCT direct-injection I-4 engine coupled with a 6-speed automatic transmission, with a 5-speed manual as an option. 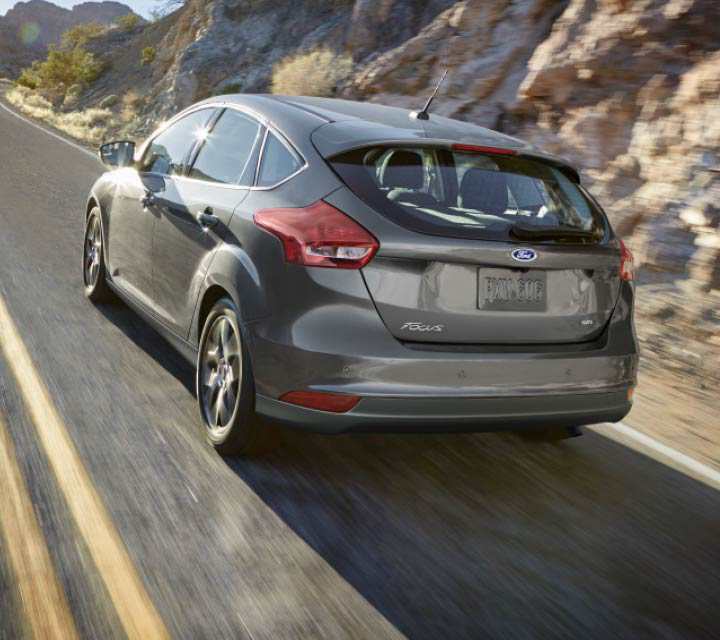 When you combine all the performance, comfort, technology, and safety options the 2018 Ford Focus has to offer, you will be able to find a model that fits your driving needs and lifestyle. Make the short drive to the Olympia Auto Mall and visit the good folks at Mullinax Ford to take a test drive. We look forward to seeing you soon. The first step in considering an RV is to think about what you plan to do with your RV and your vacation time. 1 Will you be staying mostly in RV parks, or in remote locations? 2. How many travelers will you be bringing? 3. Who is going to drive the vehicle? 4. Will your vacations tend to be longer trips (3+ weeks) or shorter trips? 5. Will you be traveling year-round? in the cold weather? 6. Will you be taking the RV into nearby city for sightseeing? Is parking and maneuverability important? 7. Do you have any special storage needs? Bikes, kayaks, dogs/kennels, trade-show supplies, etc? The first thing to decide is whether you want a motorized RV or a towable one. If the journey itself is the draw, then perhaps a motorized RV is for you. Most people start with a towable, specifically a pop-up. Pop-up or tent trailers come in 8’, 10’, and 12’ sizes and have most of the same amenities as a travel trailer. Travel trailers also come in different sizes (ranging from a small 9’ up to around 40’). It is important to consider sleeping arrangements and living space for your family as you evaluate each. The final towable is the 5th wheel. These require a pickup truck to tow, and the size of the 5th wheel will dictate the towing capacity of the truck. The nice part about a towable is that once you arrive at your destination, you set up your Tent Trailer, travel trailer, or 5th wheel and you have your car, truck, or SUV for local sightseeing. There are 3 classes of motorized RVs – Class A, Class B, and Class C. The Class B is built on a van chassis with a raised roof. They are very easy to drive and have many of the same amenities as the Class A & C, just more compact. The Class A motorhomes are big on size and luxury; sizes ranging from 22’ to 45’. They are offered with both gas and diesel engines and can come with almost any amenity you can dream of. The more amenities, the bigger the price tag. The Class C motorhome can be almost as luxurious as the Class A but are generally smaller and more affordable. While the motorized RVs are cumbersome to park in an urban area, you can tow your car behind for use once you have set up camp. There quite a range to choose from so consider all of the above. Another great recommendation is to talk to an RV specialist who can really help you find the right options at the right price. Washington State has many beautiful parks for day use and overnight camping. In addition, Olympia Washington has an Auto Mall that caters to RV sales. With knowledgeable staff and a convenient location just off Highway 101, we are here to properly outfit you for your camping vacation. Enjoy the great outdoors in just the right RV; we look forward to helping you! Off-Roading, the sport of driving your vehicle on unsurfaced terrain, takes many forms. 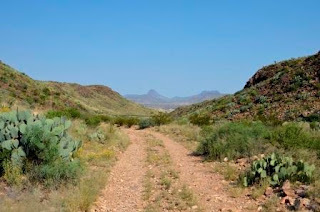 Recreational off-roading can include dune bashing, desert racing, cross-country, mudding, rock crawling, and raids. Some of these off-road challenges require customized vehicles and accessories like winches and specialized shocks. However, today’s trucks and SUVs are amazing machines. While they are built to comfortably transport you and your gear on paved roads and highways, they are equipped to take you off the pavement and onto the dirt as well. There are several features in your truck or SUV that will help during your off-road adventure. The first is traction control, offered on most vehicles today. Some traction control systems are more involved than others but basically use either the brakes or the 4x4 mechanics to limit wheel slip. Some offer settings to accommodate the anticipated need. Be sure to read your owner’s manual to understand your specific traction control system and what to expect. Locking differentials effectively locks the turning of the left and right wheel together to reduce slipping. Normally, the inside wheel turns more slowly as you corner your vehicle, allowing the onboard computer to adjust and shift power where its most needed. Locking the differential on a trail eliminates inconsistent speed between the left and right sides which can affect traction. The locked differential forces both wheels to spin at the same rate, making sure the power remains with wheel with the most traction. 4WD High and 4WD Low are also important to understand and use properly when off-roading. The low and high refers to the gearing of your transfer case. 4WD Low provides more torque and is most suitable for low-end speeds. 4WD High is better for higher speeds and to maintain momentum. Washington State has some excellent vehicles for you to off-road in, especially at the Olympia Auto Mall. If you are exciting about off-roading but need an appropriate vehicle (truck or SUV) for the adventure, visit the Auto Mall’s convenient location just off Highway 101 in Olympia. 9 great dealers and 8 brands and lots of knowledgeable staff to properly outfit you. Happy off-roading, and we look forward to seeing you!